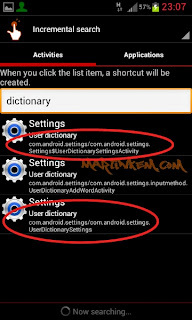 Some android users on Jellybean 4.1 have complained of not being able to edit the user dictionary in their device as that settings shortcut which can be found in Jellybean 4.2 is absent. 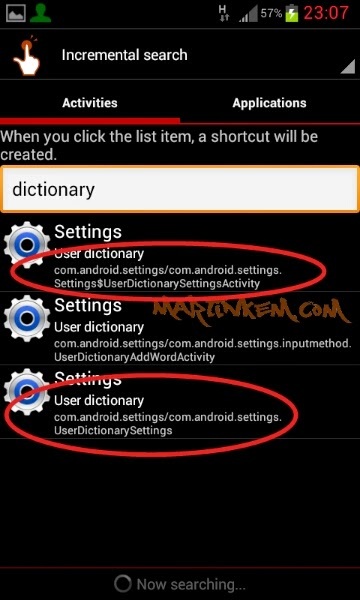 After much digging I have been able to come up with a way for Jellybean 4.1 users to access the user dictionary. 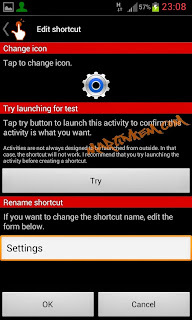 For this you would require this app QuickShortcutMaker, which is available on the Play Store for free. 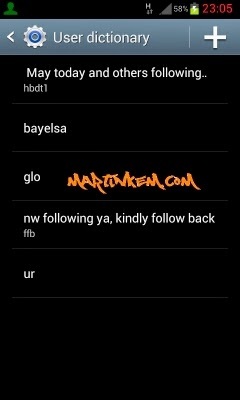 After installing this app you can follow the steps below. 1. 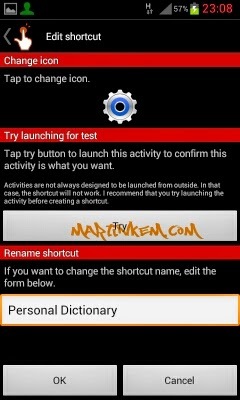 Start the QuickShortcutMaker app and type in the word "Dictionary" into the text field. 2. Click on the first or the third result shown. 3. 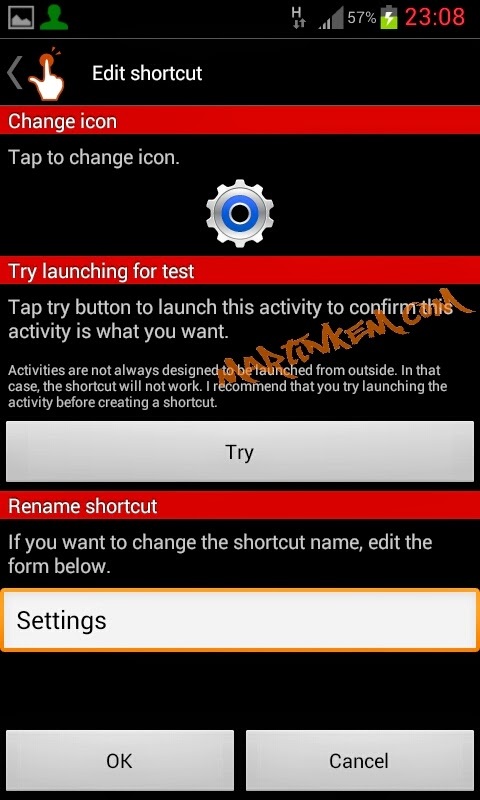 You would be taken to another page where you can Try the shortcut to see if it opens up your user dictionary and where you can also choose a name for the shortcut. 4. 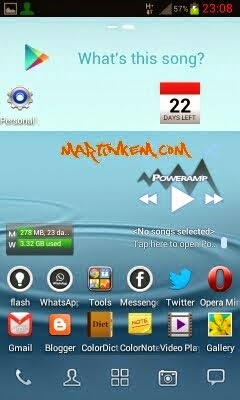 Enter the name you want it saved as and then click OK. (The Shortcut would then be saved on your homescreen). 5. You can now go back to your homescreen and click on the new settings icon to launch the User Dictionary, where you can edit and add new words (and autotext). This tutorial was tested and made on a Samsung Galaxy S2 running stock Jellybean 4.1.2, but should work on just about any device running jellybean or even Ice cream sandwich.